My long-term private movement studies began as a result of my chronic back pain. The pain wasn’t the result of a sudden fall or accident, instead it snuck up on me plaguing me with discomfort and limited mobility. Although I had helped many clients alleviate their back pain, I struggled with my own. Having been physically active my whole life, whether dancing, hiking, or practicing yoga and Pilates, coming to terms with my limited mobility was extremely challenging. My body, which I always viewed as my partner in movement, had become my enemy. 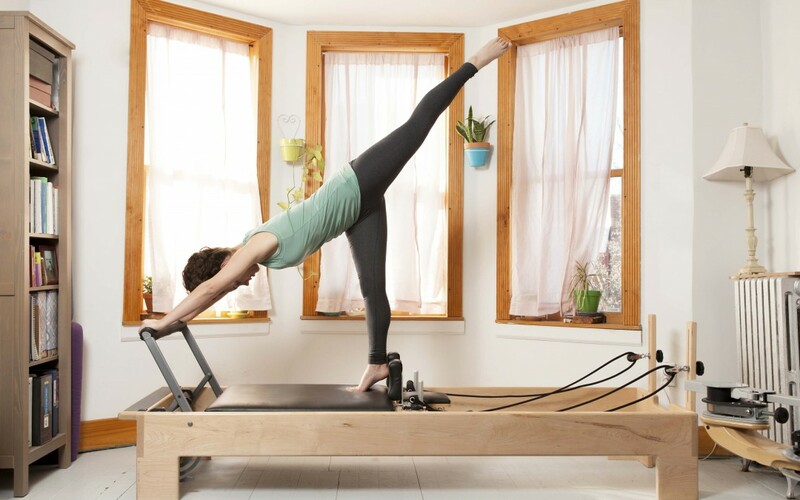 A colleague recommended I see her teacher Clarice Marshall, a Pilates and Gyrotonic instructor influenced by Alexander Technique. The added expense, combined with the stubborn belief that I could fix the problem on my own, made me reluctant to see her. The pain continued, desperation set in and I finally agreed to set up an appointment. I remember my first private session with Clarice well. Most of the lesson was spent doing basic exercises, many of which I had done before, but I remember experiencing them in a whole new way. What I once thought of as easy exercise now seemed challenging, while very familiar movements suddenly felt foreign, yet rejuvenating! I realized I wasn’t always doing what I thought I was doing and that I could improve the quality of my movement. At the end of our session my back felt better than it had in months and I left with a renewed sense of hope. It would take more than one private session, but my body would finally heal. I still go to group classes and find them very enriching, but private sessions offer a deeper level of specificity. I can ask questions, stop and investigate a sensation in my body, and take time to understand the details of an exercise. This is a marked difference from a group class where although I may receive individual attention, ultimately I’m left to process the information on my own. And- in reality, we can’t always figure out everything on our own. Private sessions have changed my life. My back is healed, I’ve gained a new understanding of my body, and I feel more confident and capable. Private sessions are an opportunity to focus 100% on myself- a true gift. No matter what kind of day I’m having, I know I’ll always leave feeling better. Interested in private instruction and gaining valuable information that you can take with you into a group class and your life? Schedule a free consultation here.